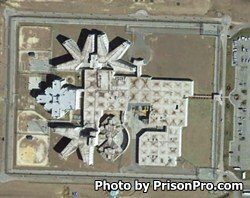 Scotland Correctional Institution is located in Laurinburg North Carolina. It is a mixed custody facility that houses minimum, medium, and close custody inmate. Considered a high security prison, Scotland Correctional Institution houses 1,652 male inmates. Inmates are provided medical, dental, and mental health services. While incarcerated at Scotland Correctional Institution, inmates can take educational courses to earn a GED and receive substance and alcohol abuse treatment. All visits at Scotland Correctional Institution are by appointment only. Appointments must be scheduled two days in advance by calling (910)-844-3078. Non-contact visits are conducted on Mondays and Tuesdays. Contact visits occur on Wednesdays and Thursdays.